Hi guys! 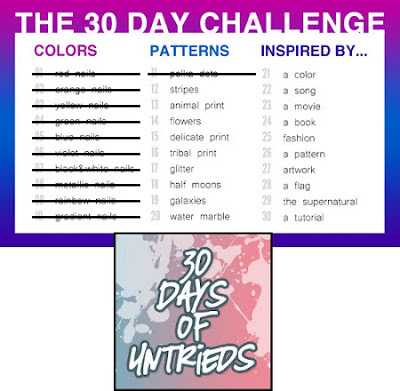 Here is the day 11, the first one of the patterns theme. love your mani and prayers going out for your mom! How cute is this!!! I love the colors and dots is always my favoirte when it comes to nailart.